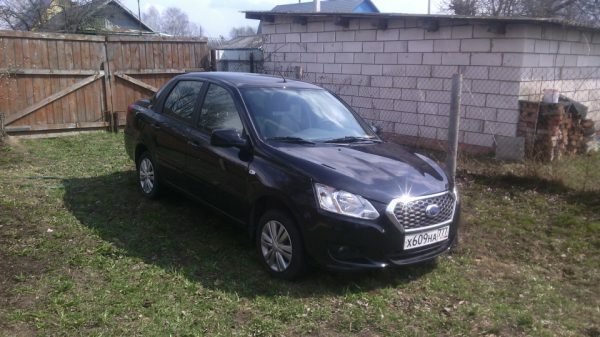 This spring I read an article «Foreign car for less than 400K rubles» - and I immediately decided to buy it. For half an year I collected every little piece of information, read every news on the production – and finally I got it! First I had to utilize my old car – so the whole process took me about month. Now I drive my Datsun and enjoy all its options and the high quality at the lowest price. So I have become the owner of a Datsun on-DO, Dream grade. Before that I had a car that served me for about 7 years. When it started to break down too often, I started to do my research in the Internet about a new car. 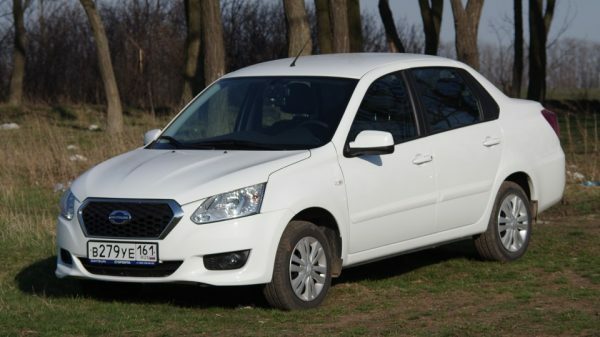 Very soon it became obvious for me that Japanese Granta (the base for Datsun in Russia) is actually very attractive: Japanese origin, good design, dependable engine, it is pretty high, the trunk is spacious, it can be easily repaired. 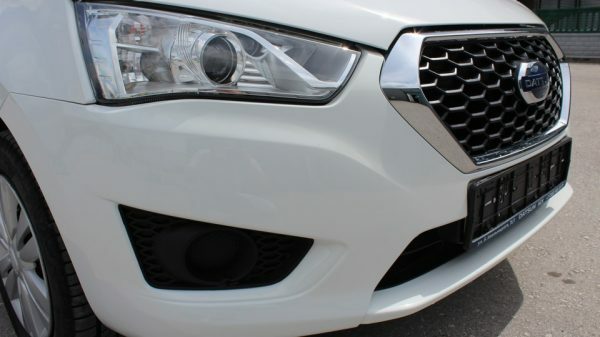 Then I found out that it also has a lot of very delicious options such as climate control, electric power steering, power windows and many more. So I made up my mind and went to the dealership. After having touched and tried everything, I loved the car even more. When it was time to change a car, I started to look around for different options. 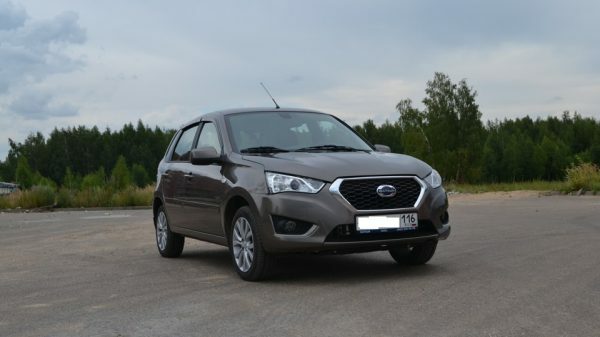 The test-drive was the answer to all my questions – I decided to buy Datsun on-DO. After having tested it I especially liked the suspension, sound insulation and a wide range of options. So I submitted my old car for utilization and bought Datsun on-Do in the Dream I complication. I have already driven 750 km and still very happy about the car, its baggage space, climate control and high clearance. 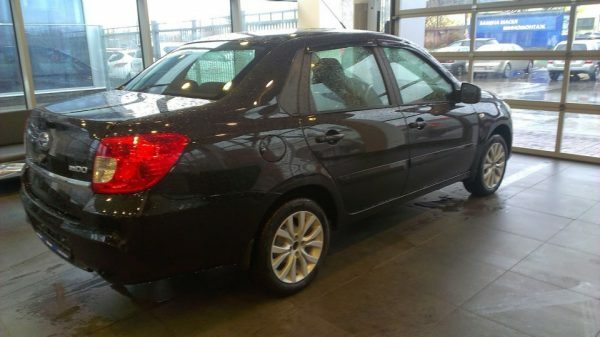 This is my first completely new car – so it is very special for me. I had a test-drive and it showed all the minor problems that were mentioned in newspapers and auto magazines. However, I was aware of them and, frankly speaking, they didn’t bother me. The car generally seemed very good for me and my wife just loved it. So we decided to buy it. My general impression now – I am satisfied. Yes, there are some issues – maybe from its VAZ parent – but they are few and they don’t make problems. One just need to compare Datsun not to expensive premium, but to old Russian cars. 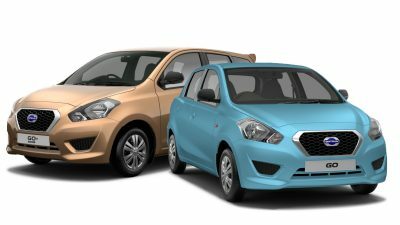 Comparing to them – Datsun is a miracle. In my blog I am going to be a little critical, but in a positive manner. I got my on-Do in January. It has almost everything I need, and if there is something missing, I will make it myself. 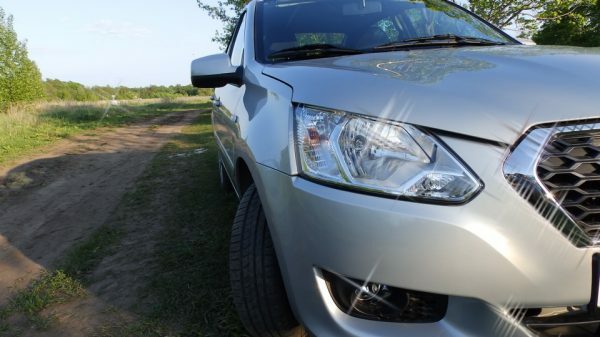 For more than 3 years I used a car with automatic transmission and now I came to a decision that few of my friends understand – I want to drive on manual gear box! I want to really drive the car – feel all of its 87 horse power, I want to control the situation and decide everything by myself. So I went for a test-drive. I think the route of the test-drive was designed specially to show the greatness of the suspension. I tried the car on every surface and decided that it was the right first car for me. At home I told my wife all about the car and was all emotional about it. At first I wanted to take the simplest version, but then I added just 16000 rubles and got all the modern options I dreamt of. We also decided to buy the version with automatic gearbox (so that we wouldn’t get tired of city traffic). In a month time we got out beauty from the dealer! I first saw my future mi-DO on TV. Then at the dealer’s I asked about technical details. The show car was blue, and I decided to get this color as well. I really liked the big trunk and high clearance. For just 450K I got all I ever wanted. Not even mentioning great credit rates and special insurance program. The next day I had only to test the car in driving. Immediately after it I started selling my old car. In just one month I got the new Datsun. I am a recent owner of Datsun. When I first got behind the wheel, I immediately felt it was MY car. I just want to tell everything at one time – that’s how I loved the car. It’s compact, it’s agile, it’s high – all one needs for urban drive. I enjoy my new car and yet had no problem at all. I bought my beautiful on-DO in winter. I like it a lot. It’s a very lively car with a great stance. I decided not to wait for the richer version and got what the dealer had at display. The car is great, and every additional option that I need can be installed later. My on-DO was bought in march 2015. The most crucial argument was the price, then – the big trunk and a lot of affordable spare parts. 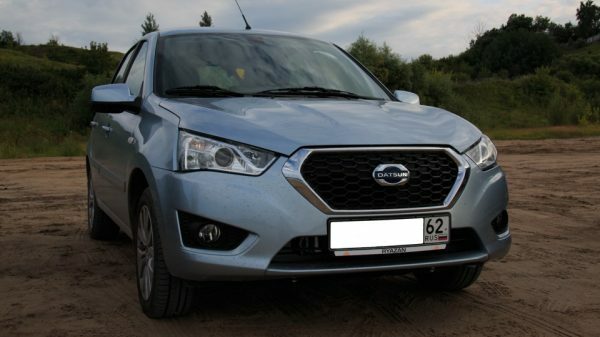 I had watched Datsun brand for some time, and when the car appeared, chose the trust 1 version. 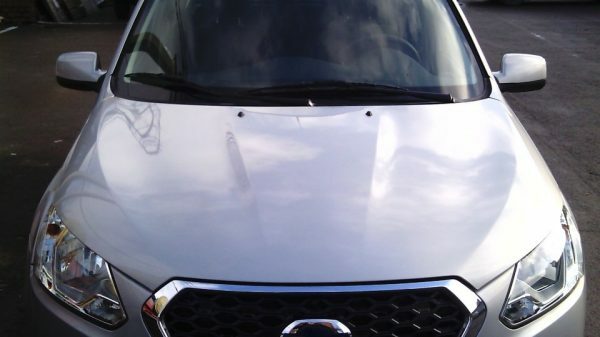 It had all I wanted – ABS, airbags, heated mirrors and seats. What I liked most is the suspension. I tried a lot of other cars – this one is really great for our bad roads. It just goes very smoothly. In the winter time I am one of the few who has no problem driving through deep snow. I often use the trunk for work, and even if it’s fully loaded I can always find some more space. I also like the design. It is always a pleasure to look at my Datsun. This is my story about Datsun. I have already driven 6000 km and just love the car. It looks very good. All the lights work just perfectly and look great. The engine seems a bit small, but it feels very powerful – well, enough for me. Great sound insulation is a chick! I don’t hear a slightest noise from outside. The steering wheel doesn’t vibrate at all. And the trunk…- I have no words, just emotions. Even tall men feel comfortable inside. I also really like the climate control with the AUTO mode. The car is very powerful but from the other hand fuel consumption is very low, 95 petrol and consumption on the highway is about 6 liter. There are few major things which I've paid most attention when choosing the car: they are heated seats, high seating position, and electric mirrors played. The trunk is really huge: if have put these 4 wheels and it is still not complete. The Trust grade is really good in terms of number of features, there is no such a proposal among competitors. I bought the car spontaneously. I saw the commercial in the internet, got interested and one day went for a test-drive with my wife and my brother. 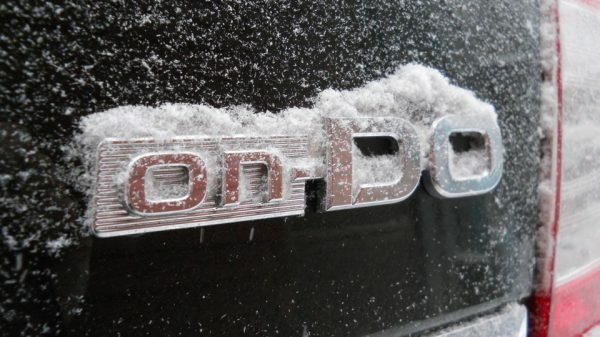 So we tested Datsun mi-DO. The car seemed pretty decent for everyday rides. I know what I am talking about, because before that I used to have about 30 different cars – both cheap and expensive. At first we wanted on-DO, but then decided to chose mi-DO, because we don’t need big trunk and without it the car looks so cool (the front lights are just HOT!). We chose it in white color as I always thought it to be very festive! As both me and my wife know how to handle manual gearbox, we decided not to take automatic transmission and save some money. In just two days from the test-drive I got the new car! As for me – I love the car. So far. The front looks very nice and impressive. The rear – also is very good. The interior feels great. I enjoy quite everything. Well, for now I am continuing to drive it and we’ll see how it goes. 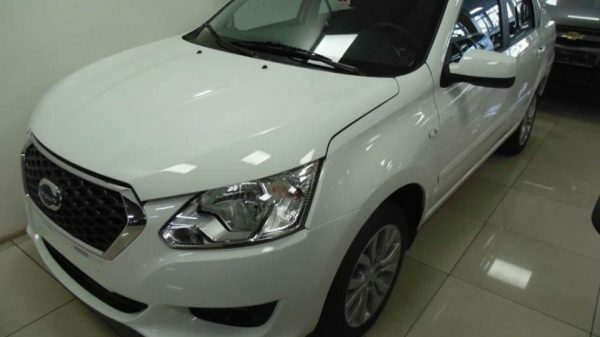 The car is comfortable, there are a lot of modern options, it is quite stable on the highway, it provides great all-round visibility and the front lights are especially beautiful and effective at night. I started to notice that people in the streets are really interested – they come up with questions and admire the car. All in all, I greatly enjoy my mi-DO.